That is a big number. One thousand and fifty consecutive days of religiously logging into MFP. Two years into maintenance and I still log in adamantly with a Linus-blue blanket sort of symbiotic relationship. Statistically speaking I am successful in my weight loss and in keeping it off. However I don’t always feel successful and the odd sentiment that equate ‘success’ with ‘struggle-free’ can be frustrating on days when I am VIP on the struggle bus. But this is where environment and support system plays a critical role in continuing success … at least for me. Whether it is online support or support in rl or a combination of both, long term maintenance requires a strong support network. Because there will be days where despite my ongoing triumph over the statistics of regaining I still look at that number on MFP and sometimes get utterly bombarded with doubt. Doubt creepily crawls into my mind goading my worse insecurities and fears. How long can you seriously keep this up? Let’s hope this isn’t just a phase like ballet was – remember that? Think of all the people you will disappoint if you falter. Is this really how you are going to live for the rest-of-your-life? Eating mindfully and going to the gym 6-days a week?! 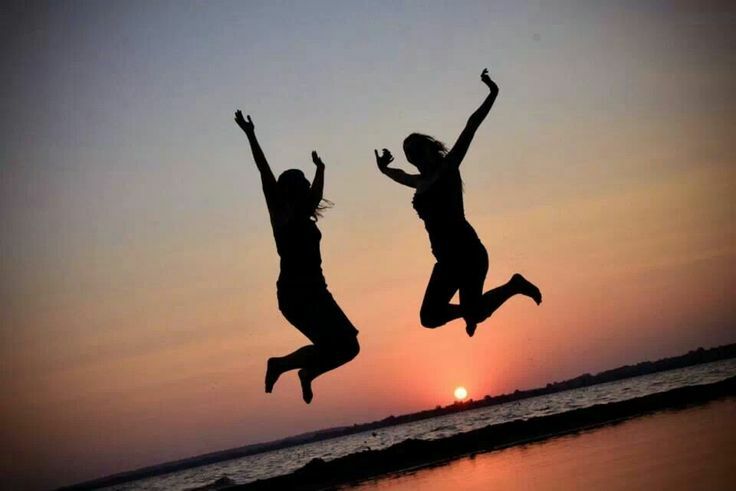 You’re not going to be 45 forever you know – are you going to do this in your 50s? 60s? 70s? You’re not always going to be the same size no matter what you do – have you seen your mom, your grandma? Chicken legs and a big Buddha belly – it’s in your DNA so why fight it? Yes it is an insidious little voice isn’t it? But this is when I look to my MFP friends for inspiration, be my cheerleader, and my rock … often times without them even knowing it. The conversation came up between me and my MFP bestie of how much she inspired me everyday. And it was amazing to discover that the feeling was mutual. The most wondrous part was that we were that for each other just by being consistent & persistent in our own individual journeys and sharing the results on MFP news feed. So although we may not all give individual kudos to everyone all the time, there is that unspoken synergy which all long term maintenance folks share. This is the primary reason why I only add fellow maintainers to my MFP support network. Maintenance is a state of being and continuing success doesn’t mean 100% struggle-free. For those who are just starting to navigate the landscape not only is it difficult to relate to a totally different set of challenges between losing & maintaining; there’s a tendency that more support is taken then given. And the key to any good support system is a give & take, reciprocal. So although this exclusivity may seem a bit posh or selfish or maybe even harsh, when I glance down at my MFP news feed & friend list and is surrounded by their consistency, I’d like to think that this is the sort of positive peer pressure to forge on together. WEIGHT ASSISTED PULL UP MACHINE #1: the weight should never be so much that one can do a gazillion pull ups / chin ups / or dips without breaking a sweat. Sure one may look cool but really is not building muscles and reaping benefits. One should only use the bare minimum weight to complete one good pull up / chin up / or dip and work their way up. I started only being to do 1 ½ now I’m up to 11 bicep pull ups, 5 shoulder width, and 3 wide grip. WEIGHT ASSISTED PULL UP MACHINE #2: Another thing I see often is speed of the movement where many try to knock out as many as possible in a short amount of time. The caution here is that if we let gravity just pull us down the momentum of the pulleys often times will pop you half way up which makes things easier but not as effective. Therefore the slower the movement the more muscles are forced to work maximizing the benefits. I pull up quicker then slowly release down. This approach forces resistance work (on the way down) while offering no artificial momentum on the way up for max BBWOB. 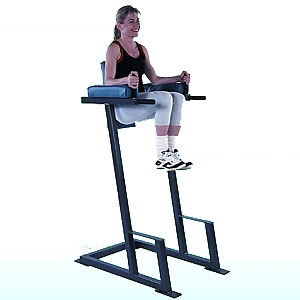 ELBOW SUPPORTED LEG LIFTS: Perhaps the number one thing I see and really have to bite my tongue on is the elbow supported leg lift machine. No matter if the legs are bent or straight the tendency is to swing instead of isolating the muscles and lift. Swinging again is cheating the body because it uses momentum to complete a repetition. A good way to avoid this is to slow down, make sure you come to a complete stop when the legs are hanging down then engage the necessary muscles to lift. One may not be able to do as many, but quality reigns over quantity every time for max BBWOB.